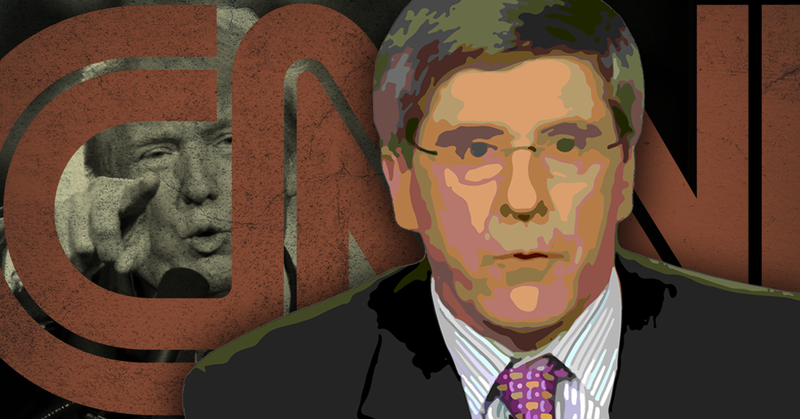 Discredited economic pundit and former Trump campaign adviser Stephen Moore continues embarrassing CNN during news segments with his supposed policy expertise. Media Matters compared two of Moore’s recent appearances -- one in which he appeared alongside a credentialed policy expert, and one in which he faced only an ill-prepared network host -- and found distinct differences in the tone of each discussion. These differences demonstrate the dangers of news outlets continuing to rely on unscrupulous hangers-on from the Trump administration to comment on policy issues. Over the years, Media Matters has chronicled Moore’s shoddy predictions, intentional misinformation, and misleading claims. Despite ample evidence of Moore’s gross incompetence as an economic analyst, CNN still hired him in January under the guise of “senior economics analyst” to serve as a sort of in-house surrogate for the Trump administration. Moore has spent his time at CNN undermining his colleagues and embarrassing his network while ceaselessly parroting the Republican Party’s agenda. His shameless defense of the president’s unfounded reasoning for withdrawing from the Paris climate accord even led Columbia University economist Jeffrey Sachs to blast CNN on its own program for maintaining a relationship with the pundit. Moore’s two appearances late last week underscore how problematic he is as an employee of a news network and reveal how CNN ought to handle his future appearances. Compare Goolsbee’s repeated fact-check of Moore’s misstatements to another Moore appearance in which CNN did not host an economic policy expert to counter the conservative pundit. Moore’s partisan talking points can be easily unraveled by competent analysts and experts; his attempt to promote the same right-wing fallacies about health care was rebutted by health care expert Andy Slavitt during the July 10 edition of New Day. In fact, his dissembling can be easily countered if the interviewer is adequately prepared. But since Moore is a professional misinformer who has spent years honing his craft, if an interviewer is ill-prepared, the segment can quickly devolve into Moore amplifying his routine talking points, which serve only his conservative political agenda.